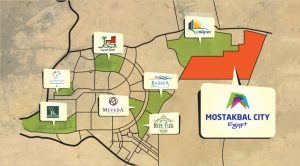 Mostakbal City is another chance to invest in the future, with it’s perfect location. 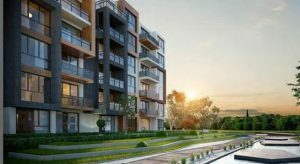 It is located nearby New Cairo, The New Administrative Capital, El Sherouk City, and and a number of new projects in the north-east of Greater Cairo, which includes the cities of (Badr, New Heliopolis, and Madinaty) . It is a fully integrated development that includes residential, commercial, medical, educational, and entertainment areas. It is developed on an area of 11,000 acres equivalent to 45 million square meters. Consisting of five phases that are designed to have the roads and green areas represent 50% of the total area of the city. With a population capacity of one million inhabitants, El Mostakbal City offers the most luxurious residential & commercial destinations with affordable prices. 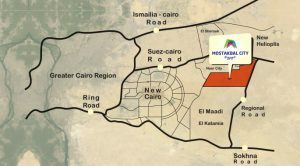 Mostakabal City is planned to be the first city in Egypt that contains only compounds. It will be fully connected to all utilities starting from 2019, with ready to use compounds, services & roads. 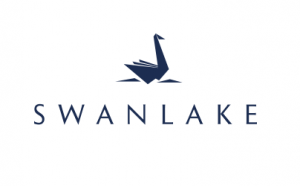 Invest in the latest compound in Mostakbal City, developed by Hassan Allam Properties which is launching soon Swan Lake Mostakbal City and enjoy it’s strategic location, large green areas and a collection of luxurious apartments, townhouses, twin houses and stand alone villas. Hassan Allam Mostakbal City is expected to be one of the prime compounds in Mostakbal City.